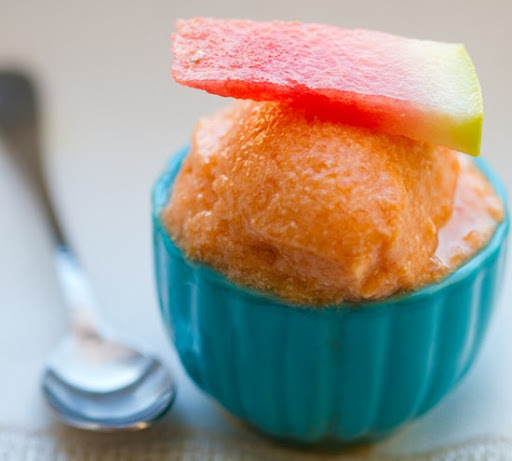 Vegan Watermelon Custard. Dessert or Breakfast! 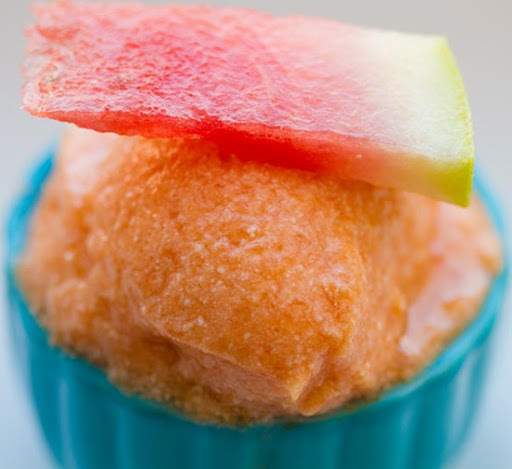 Dessert Special this evening... "Watermelon Custard." Oh yes. For the first time this summer I indulged in a big bowl of watermelon - and the first thing that came to my mind: why didn't I do this sooner?! How did I wait until the last month of summer to munch on this red, juicy, hydrating seasonal fruit treat? ...I'll blame the idea of having to hull a giant heavy watermelon home to my walk-up apartment. Thank you Trader Joe's delivery! Why Watermelon? Nutrition Facts! 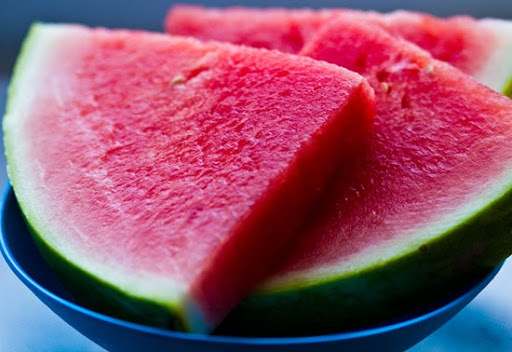 Watermelon is very low in calories and incredibly hydrating. 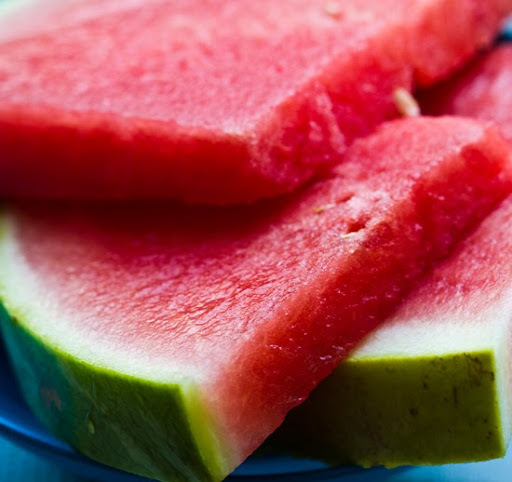 One cup of watermelon contains only 46 calories and about 20% RDA of vitamins A and C. One cup also contains 5% RDA of potassium. 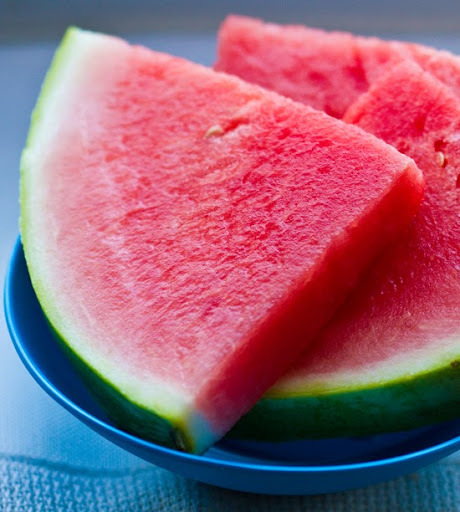 Watermelon is sweet yet mild. Hydrating, yet big on chew/juicy crunch appeal. Vegan Custard. This is a silken tofu pudding that I added agar agar flakes to so that if firms up into a custard-like texture. This recipe could easily be poured into a pie shell - or eaten as a parfait. You could even stick it in the freezer for 'frozen custard'. ...Since this custard is so light and healthy - you could easily eat this for breakfast with some muesli, granola and/or raw nuts and seeds folded in. Yum! Taste Test: Yes this custard was super light. I served it with some crumbled crusty vanilla cookies for a parfait-ish feel. I loved the hint of zesty citrus. The maple syrup was light and delicate. If you want an intenser sweetness, add in 1/4 cup of dry sugar to the boiling mixture. And as I tasted, I knew how exactly what my "breakfast bowl" would be the next day... watermelon tofu custard, vegan granola, raw cashews, pumpkin seeds and some chopped fresh peaches on top. Can't wait. 1. 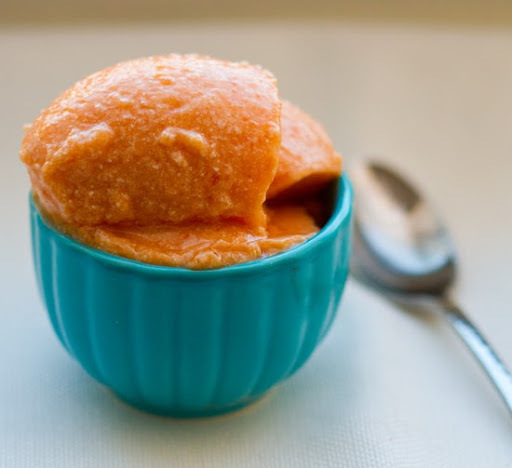 Puree your watermelon in a food processor until smooth. Measure out about 3 cups. 2. If using agar agar: Heat your water or soy milk in a large pot. Dissolve your agar agar in the liquid. This should take about 2-3 minutes of boiling. 3. Pour 1/2 the watermelon mixture into the pot (heat still on) and the other 1/2 back into the food processor. Add the silken tofu into the food processor and blend on high until smooth. Add in the maple syrup, salt, lemon or lime juice, cornstarch and vanilla. 4. Stir the heated liquid continuously - bring to a boil. Then add in the tofu/watermelon mixture. If using, add in the vegan butter or coconut oil. So now everything will be well blended and boiling in the stove top pot over med-high heat. Continue heating for 2-3 minutes. 5. Remove from heat. 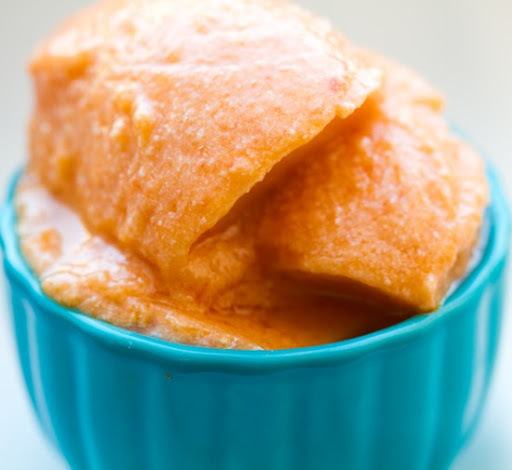 Pour into your serving container - or re-puree in your food processor one last time for a silky-smooth texture. 6. Chill in fridge for at least a few hours. Serve chilled.